Small 4 Style: Clotheshorse Anonymous Blogger Happy Hour This Thursday! 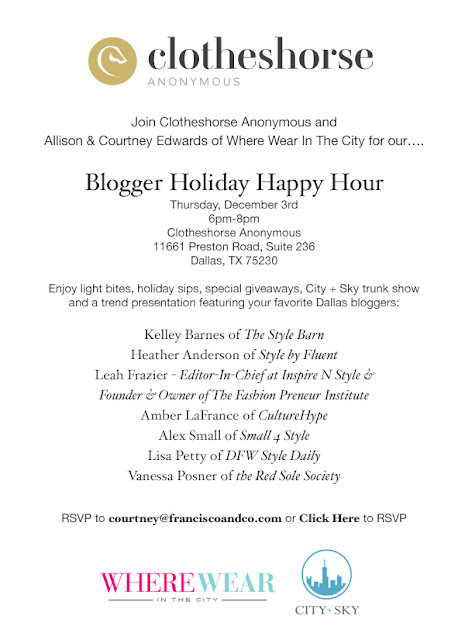 Clotheshorse Anonymous Blogger Happy Hour This Thursday! 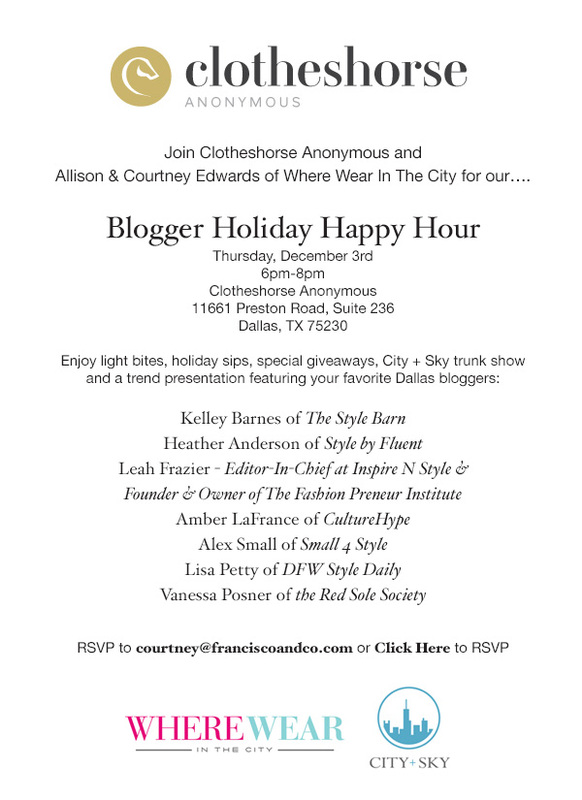 Join me and some of the most stylish ladies of Dallas at Clotheshorse Anonymous this Thursday evening for a Blogger Happy Hour. Local bloggers and City + Sky owners Allison and Courtney Edwards are hosting a trunk show and fashion trend presentation featuring some fabulous consignment pieces worn by local bloggers, like me! Looking forward to seeing you at Clotheshorse!